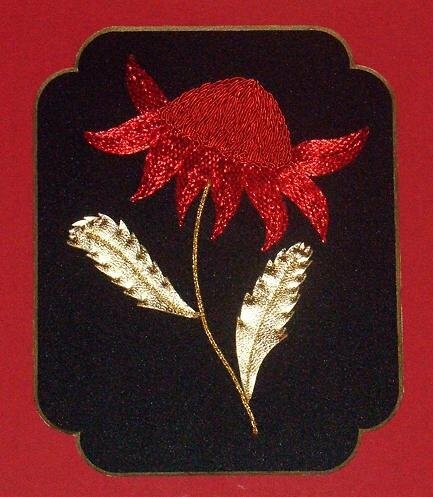 This piece is suitable for beginners to Goldwork and features padding with felt, couching, applying kid leather and coloured purls. Design size: 12cm x 15cm. Available as a pattern only for $15.50. A Materials Pack to go with the pattern is available for $30.00 or the complete kit is available for $45.00.